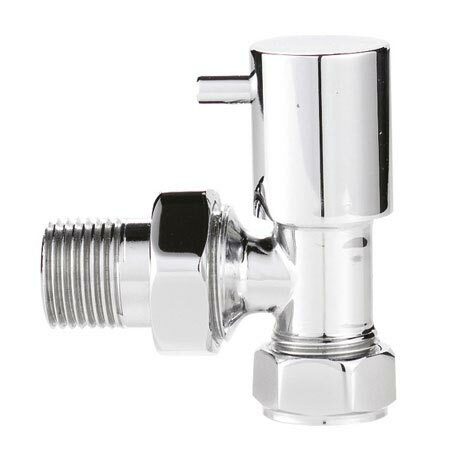 A pair of matching angled minimalist chrome radiator valves. Designed to complement our range of heated towel rails. Beautifully engineered to integrate into any modern or minimalist bathroom. Sleek design and functionality mean our heated towel rails meet the needs of any bathroom setting.